Handgards University is not actual university, college, or learning institution, the site has been developed for product information, product education, and product training. Handgards University is a "learning" tool for Handgards personnel and our customers and sales/broker network. 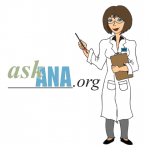 All information provided on the web site is provided for product information and product education purposes only. Information on the web site is subject to change without prior notice. Although every reasonable effort is made to present current and accurate information, Handgards makes no guarantees of any kind. The web site may contain information that is created and maintained by a variety of sources both internal and external to Handgards. Handgards University does not control, monitor or guarantee the information contained in these sites or information contained in links to other external web sites, and does not endorse any views expressed or products or services offered therein. In no event shall either Handgards University or its parent company, Handgards, INC. be responsible or liable, directly or indirectly, for any damage or loss caused or alleged to be caused by or in connection with the use of or reliance on any such content, goods, or services available on or through any such site or resource. 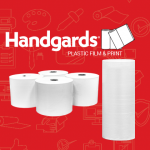 Handgards® is a registered trademark of Handgards Inc.